The primary purpose of the Valdosta-Lowndes County Conference Center and Tourism Authority is to give direction and leadership towards the achievement of the authority's mission, goals and objectives. 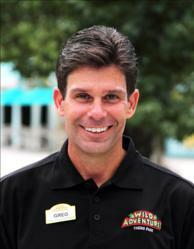 Contact: Michael Jetter, Interim Executive Director at 229-245-0513 or mjetter@valdostatourism.com. While various issues were being discussed, numerous private conversations were held throughout the course of the meeting. As Tourism Authority meetings are an open meeting, all issues, concerns and discussion should be discussed in an open manner as required by Georgia Sunshine Laws. There were several instances that took place throughout the meeting that violated the Open and Public Meetings Law. Tim Mabe joined the Conference Center in December of 2009 and left in August 2010. At that time, Michael Jetter became the Interim Executive Director and was let go less than a year later. Mary Culbreth, director of accounting, now fills the role of Interim Executive Director. “This is the third time I have been the Interim Director,” said Culbreth. Yet the City's web page still says Jetter. Is he back? Or is Valdosta as unable as the rest of us to keep up with the less than transparent doings at the Tourism Authority? According to Culbreth, the board has expressed interest in pursuing a management company as opposed to pursuing a search for a single Executive Director. Why do we the taxpayers have to ferret out such information?